These two small towns are idyllically situated at around 1,000 metres above sea level. For those who want to spend a relaxing holiday in the mountains of Salzburg, away from large crowds, here you will find the perfect conditions. Fresh air, pleasant climate and a varied landscape with forests, meadows and mountains make Krispl-Gaißau a true holiday paradise for all those who want to spend a few days far away from the hustle and bustle. Families especially will find here the best conditions, in summer as in winter. 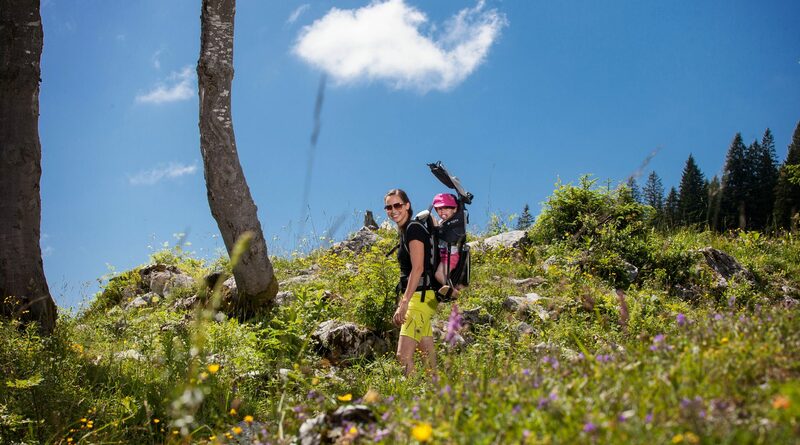 The Krispler Alpine path is ideal for hiking. As soon as you overcome the first small climb, the sunny trail guides you along. The wide Alpine pastures offer space to play and romp; benches along the way invite you for a short rest while enjoying the views of the Salzach Valley. For those who prefer to conquer a Summit, a hike starting from the Spielberg Toll Road up onto the 1,518m high Eibleck or the 1,535m high Wieserhörndl is just the thing. Insider’s Tip: on the last Sunday in July, good weather permitting, the Spielberg Mass is held directly at the Summit Cross of the Spielberg Alm. In bad weather, the Fair is celebrated at the Spielberg Chapel in the parking lot. Just as the mountains are attractive in summer for hiking, in winter they are an attractive terrain for ski touring, snow shoeing, sledding and skiing. 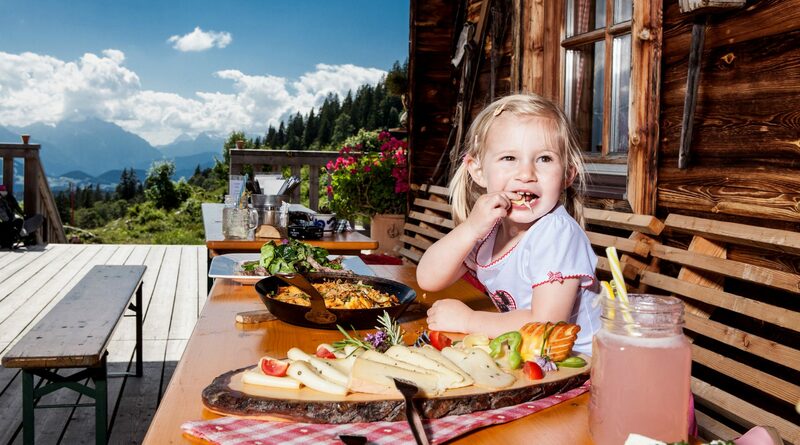 The family skiing area Gaißau-Hintersee, as well as the Krispl Ski Lift delight with 40km of natural snow slopes, a Boarder park, ski lifts for beginners and rustic mountain huts. Whoever holidays in Krispl-Gaißau must do so without comfortable, modern hotels. Instead, stay overnight at the Neureitbauer Organic Farm. The children especially are thrilled when they are able to help with work in the stable. 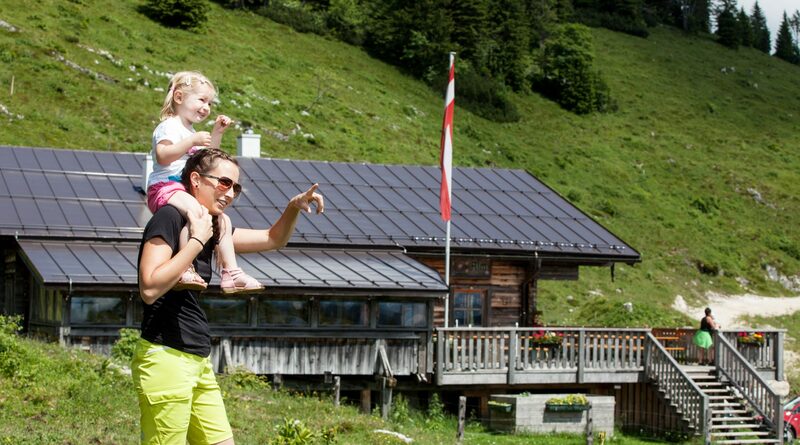 Additionally, some self-catering huts can be rented in Krispl Gaißau, such as the idyllic Schwammerl hut. This small romantic mountain hut is situated directly on the edge of the forest with direct access to the slope in winter. In summer you can enjoy breakfast on the sunny terrace.